This is my biography as it appeared in the preview section. 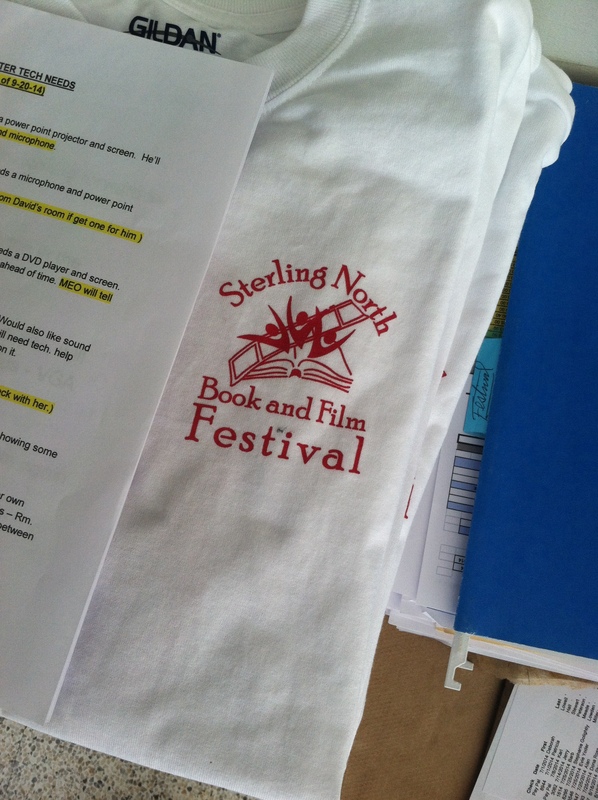 The Edgerton Reporter produced a terrific, 24-page preview section of the 9th annual Sterling North Book and Film Festival on Sept. 27, 2014. I was honored to be chosen as one of the 17 presenting authors. 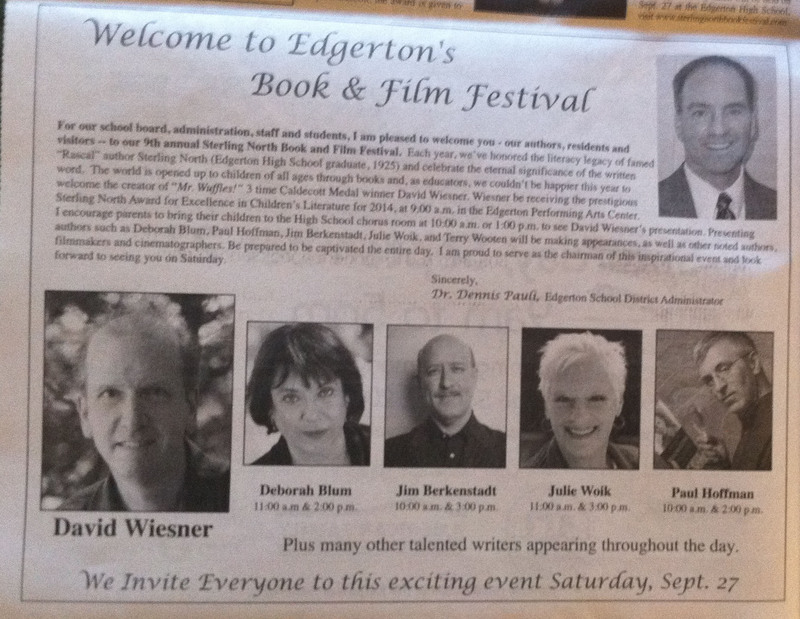 This is the welcome message from Edgerton schools on Page 2. I was surprised and humbled that they chose to include me in this. I clean up fairly nice when I want to. 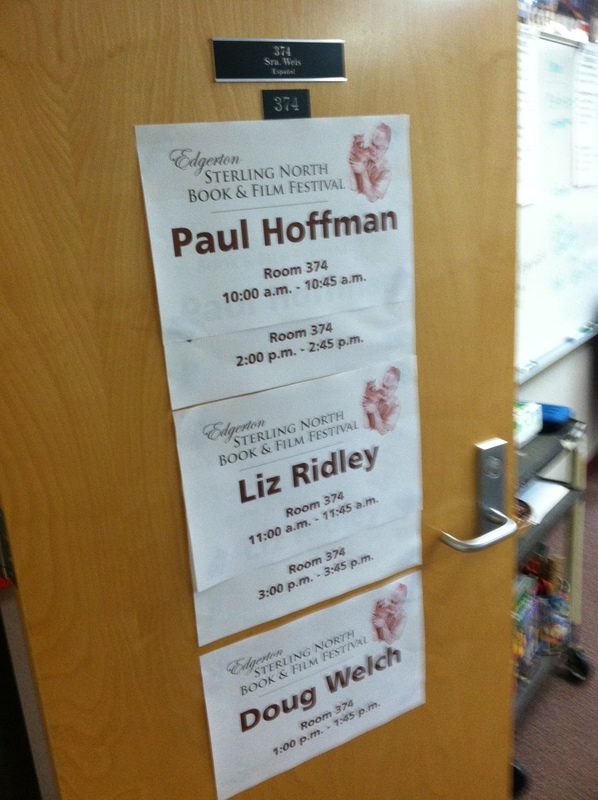 This is the night of the authors’ reception, the day before the festival. 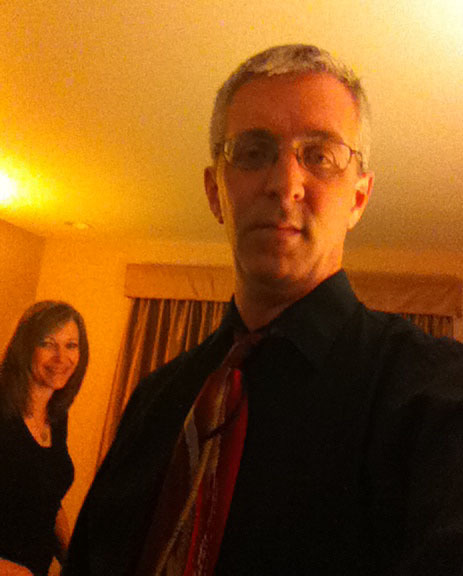 My wife, Kimberly (background), always looks nice. They had T-shirts for sale for just $10, and I forgot to buy one! I presented a PowerPoint presentation on my book, “Murder in Wauwatosa: The Mysterious Death of Buddy Schumacher,” twice. I was honored to have among the attendees, Sterling North’s daughter, Arielle North Olson, an author in her own right, and Deborah Blum, a columnist for the New York Times, a professor of journalism at the University of Wisconsin-Madison, and the author of books, including “The Poisoner’s Handbook.” That book was made into a PBS documentary. 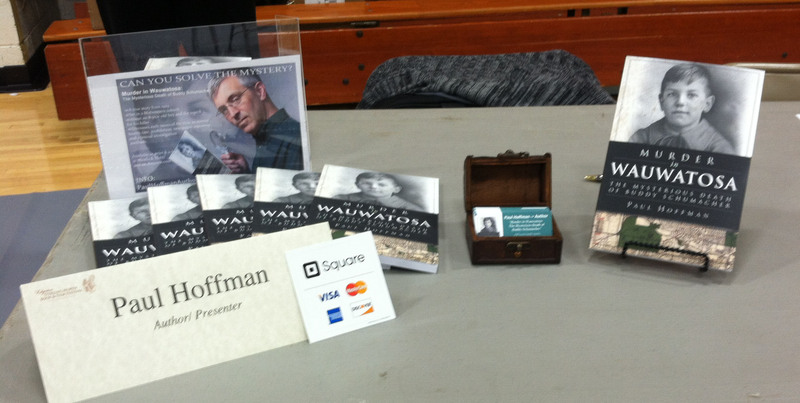 There must have been close to 50 authors (I should have gotten an exact count) selling books in the Edgerton High School gymnasium on Saturday. 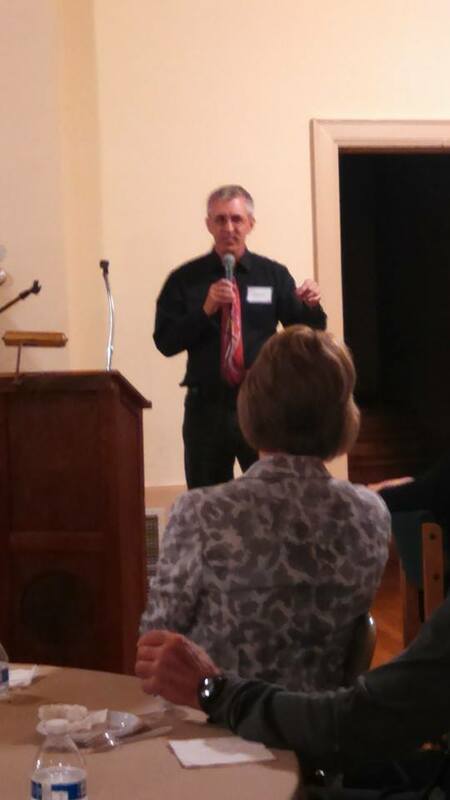 Here I am speaking at the authors’ reception on Friday night. My wife said I did a great job. If you disagree, argue with her. Here I am in front of Sterling North’s boyhood home in Edgerton. 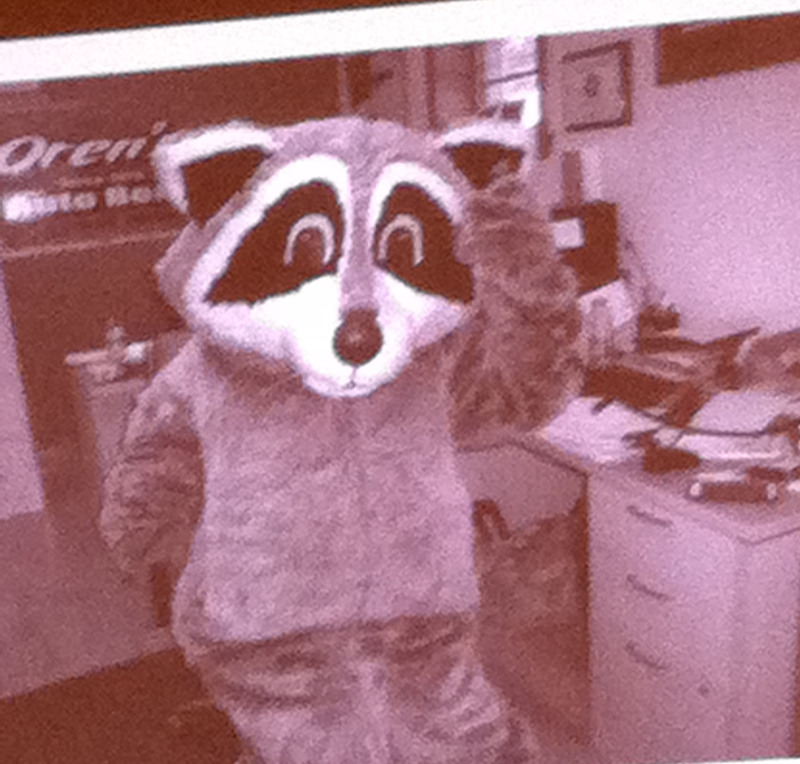 He is most well known for his children’s book, “Rascal,” about the adventures he had with a pet raccoon when he was 11 and living in this house. The organizers do a bang-up job raising funds throughout the year so they can afford to pay all these great authors (and filmmakers) to the event. 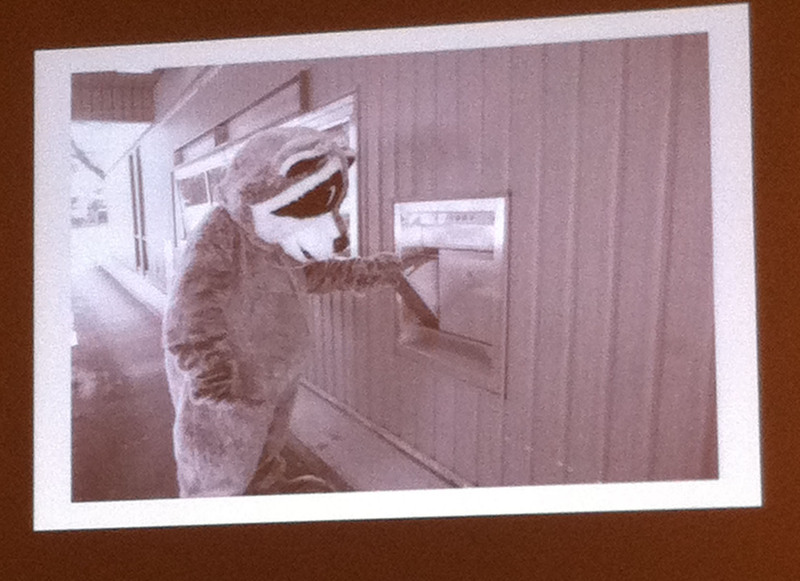 They had a contest to see how many people could figure out where “Rascal” was photographed around Edgerton.